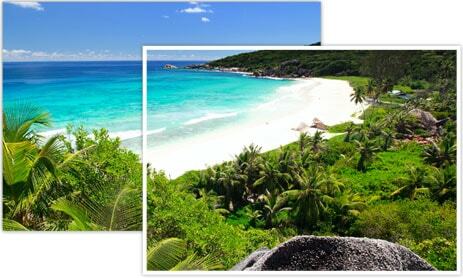 Seychelles is a group of 115 islands, and it should come as no surprise that the country has beautiful beaches. 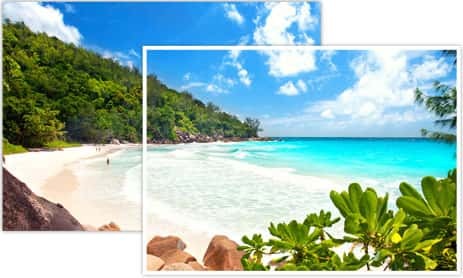 The beaches in Seychelles are not crowded or commercialised as other holiday destinations, so they have a big advantage of being clean and peaceful. The breathtaking views of the ocean and the coral reefs, along with the white sand, is a callout for many travellers from around the world. 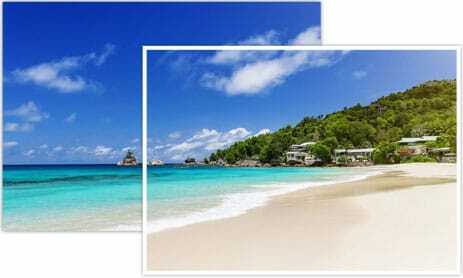 Every island in Seychelles has beaches that are its main attraction. The beaches here are not just famous for their beauty, water activities like diving and snorkelling are also highly popular. 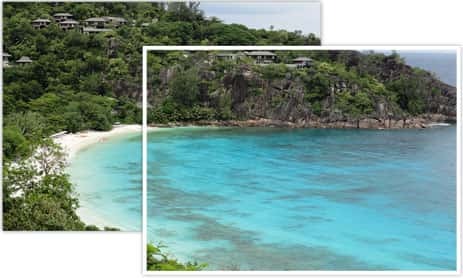 The most popular beach in Seychelles, it is known for its pink powdery sand coastline, framed by gigantic granite boulders, that have been framed by weathering over time. A reef stands on the shore, protecting the beach. The beach is ideal for snorkelling, and sunbathing, because of the pleasant weather. 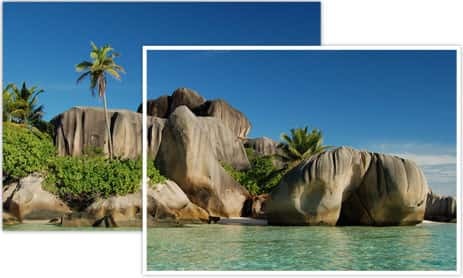 Located in La Digue, it is often called paradise on earth because of its unparalleled beauty. 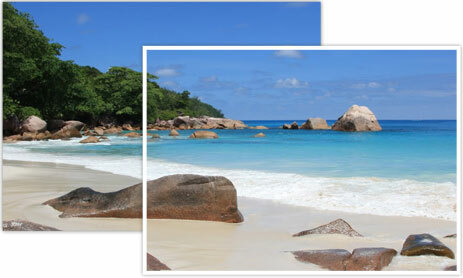 Known for its soft grained sand that merges with crystal clear water, this is said to be the best beach in Praslin. The water is calm and shallow, making it ideal for swimming and snorkelling, all throughout the year. 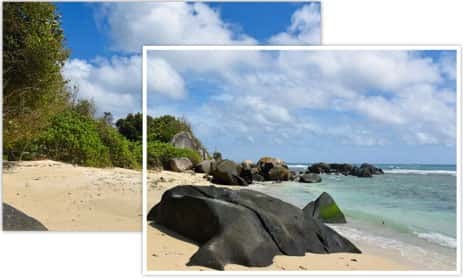 The beach is framed by large round granite boulders, and fringed by takamaka trees which provides shade where people can relax. The beach also has two restaurants where people can eat quality food. This stunning beach in Mahé is perfect for people who want to do more than just relax and sunbathe on a beach. Beautiful white sand area flanked with takamaka trees and coconut palms is a view you simply cannot miss. The beach has water sports and diving centres where people can have a fun time doing sailing, water skiing, snorkelling and parasailing. The water is mostly calm which makes it ideal for families. This beach is most suitable for surfing, as the waves are much larger because there is no reef. The beach has powder white sand which makes it popular for sunbathing. Numerous turtles are found nesting up on this beach. The northern portion of the beach is dominated by the luxurious Banyan Tree Hotel, while the southern portion is very quiet. The beach is half a mile long and is a perfectly good place for people to relax and have a nice time. Counted in the list of the top 10 most beautiful beaches in the world, this beach really is a stunning place. 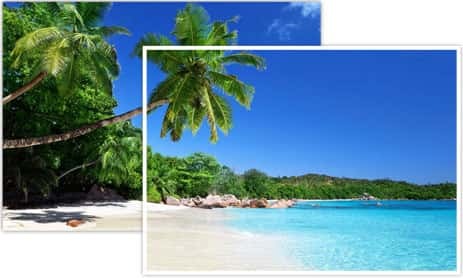 The beach is accessible only by a ferry or a charter, which is offered by the Lemuria Resort located in Praslin. The beach doesn’t have any rocks or reef, so the merging of the white sand with the clear water makes the beach look overly beautiful. This beach is never crowded and is perfect for people who seek a private time on their vacation. Often called the sister beach of the Grand Anse beach, Petite Anse is can be reached via a stunning rocky footpath from Grand Anse. the place has white sand which makes the water look clean and beautiful. People prefer to sunbathe and go to picnics here, as swimming is not advisable because of the strong currents. The beach has a place that sells fresh coconuts where people can get refreshing drinks. 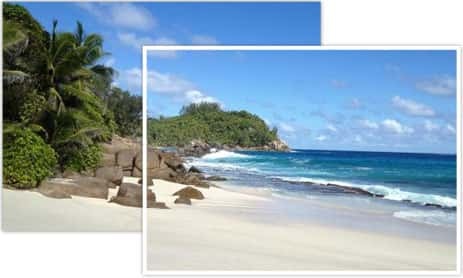 This beach is more raw, as compared to the other calm and quiet beaches in Seychelles. The waves here are big, so swimming is not advisable, but that doesn’t take away from the charm of this magnificent beach. The big waves on the shore breaking into the pristine white sand gives a very dramatic effect, adding to the beauty of the beach. The most attractive way to get to the beach is via a wide and mildly sloped hill that will take you through the gardens of La Digue. Anse à la Mouche is a large bay on the south-west coast of Mahé, and has beautiful and clear shallow water, which makes it a suitable place for swimming. The bay is located near the main road, which makes it easily accessible for visitors. The water here is safe even for children to swim as it remains calm even in high tide. Evenings provide stunning sunset views at the beach and is a great time for photographers to capture beautiful shots of the place. Located on the north-west coast of Mahé, this is a collection of small beaches stretched over 2 km. Although swimming is possible, the water is shallow in only some places. The currents here are good for surfing. The beach is easily accessible and can be reached via car or bus. Some shops are available at the beach that provide things of basic needs. Since it is a collection of small beaches, people who visit get to see a lot of variety in sceneries in one place.